How do you view Jews and Judaism? Bring the kids at 10 a.m. so they can begin their Earth Day fundraiser- reusable shopping bags that they can decorate and sell to members and friends! The Interdependent Web: Flower Communion– Join us for an Easter Sunday Flower Communion! 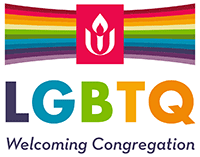 Bring a flower for our communal vase as we celebrate our diversity and our connectedness with this UU tradition. All are welcome!